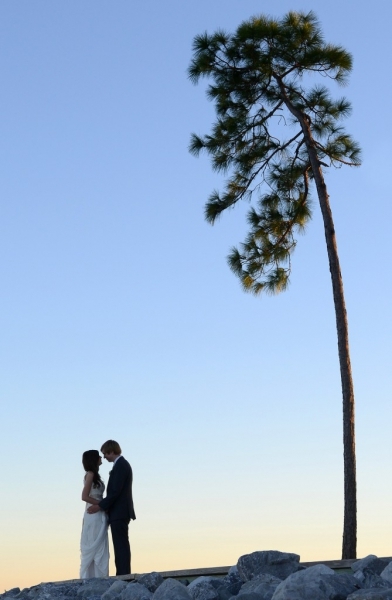 Being a Panama City wedding photographer is a lot of fun. I know I say that a lot, but it is true. 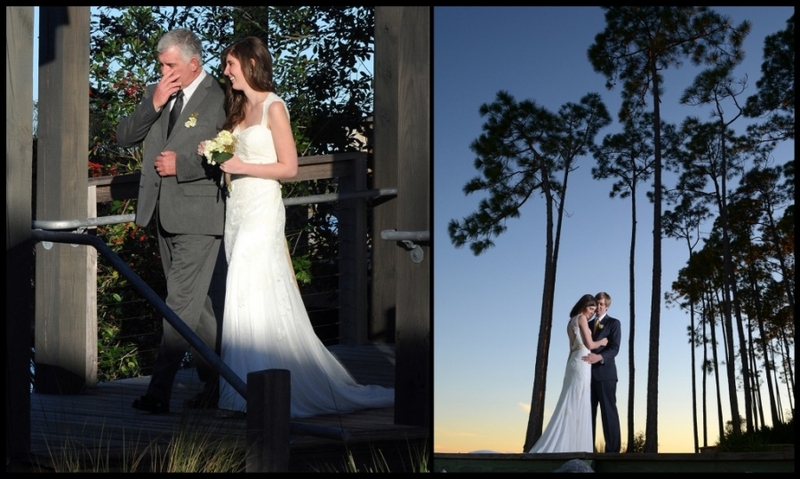 I had an awesome time as Alex and Katieâ€™s wedding photographer at Rivercamps in West Bay a couple weeks ago. The ceremony was in a beautiful location. If you havee ever been up there, you know what I am talking about. The quiet woods and serene waters of West Bay really kinda take you back in time. The world is a little different there. 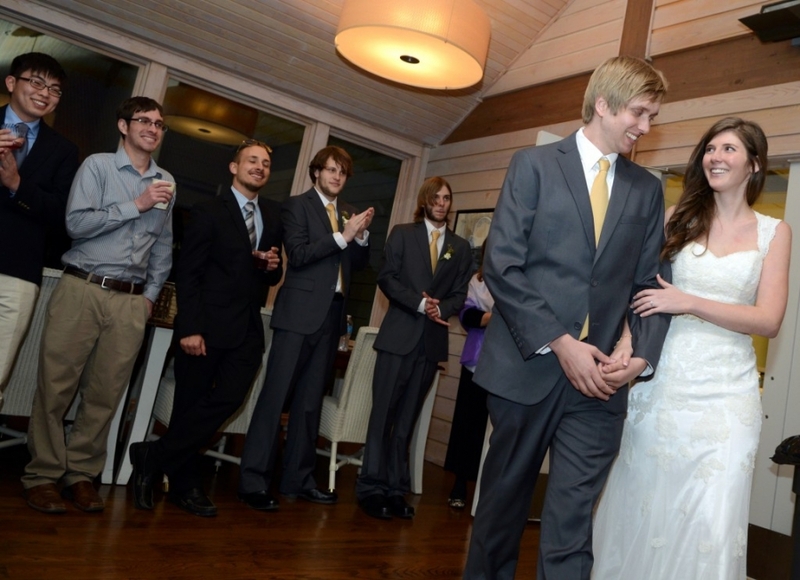 It is a great escape from the hustle and bustle of life and a perfect spot for an intimate wedding gathering. No distractions. Just love and family. When I got there, I found Katie and her bridesmaids in a funny spot. The gym! No, they were not getting in a few quick reps before the event, they were steering clear of the boys. Oddly enough I found cool a spot for a quick portrait of Katie. It was right in the corner between a treadmill and some other big honking piece of gym equipment. We got a few shots there and then it was time for the big show. As the guitarist played The Beatles (not that particular songâ€¦I just like that one), I set up my lights and prepared for the ceremony. With the waters of Crooked Creek and West Bay as the backdrop, I could barely think of a more beautiful spot to exchange vows. After photographing the wedding ceremony we moved outdoors to take some group photos. The light was getting really nice and I spotted a neat area for Alex and Katie to hang out while I figured out the perfect angle for the shot. There was a grove of trees right near the water and there was one tree just kind of hanging out on its own. It really struck me as different, and the photo I got there is one of my new favorites. After taking quite a few photographs of the bride and groom it was party time! Everyone danced and ate and had a wonderful time. Andâ€¦just when I though I had photographed everythingâ€¦here comes the hog trough dance! Needless to say a great time was had by all. Thanks Alex and Katie. I hope I get the opportunity to photograph you again real soon!